If you’re reading this article, you’ve probably been thinking about hiring a graphic designer. Maybe it was a recent decision. Or maybe it’s been gestating for months. In either case, you have your work cut out for you. “Graphic designer” can be one of the hardest positions to fill in any business. Unless you have prior experience, it can be hard to evaluate their creative skillset. Worse, since many designers are self-taught, you can’t rely on educational qualifications to zero-in on the right candidates. 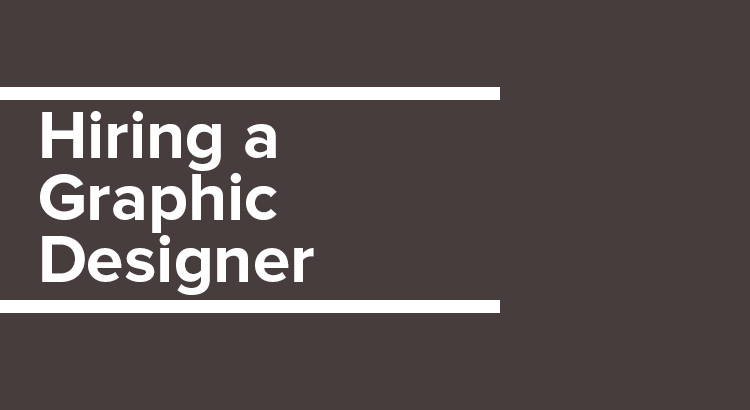 To help you out, we’ve compiled this guide on how to hire a graphic designer. You’ll learn how to understand your own requirements, shortlist candidates, and conduct interviews to find the perfect graphic designer for your business. Should you hire a full-time graphic designer or go freelance? Do you need someone to come to the office, or can you offer a remote position? What kind of organizational setup will you need for the graphic designer to be successful at his/her job? A frequent mistake small businesses make is hiring a graphic designer when they don’t actually need one. They either overestimate the amount of work they need, or pick the wrong design specialty. So the first question you need to ask is: do I really need a graphic designer? Font selection, illustrations, infographics, etc. You’ll notice that this covers the entire gamut of design work you will need for any marketing initiative. Some designers might specialize in a particular subset of the above (such as logo design), but they’ll all have the raw skillset to create any graphical imagery. What graphic designers can’t create, however, is websites, videos, or apps. They might dabble in them, but don’t have the skill or the experience to draw UI/UX sketches or wrangle code. Thus, if you need design work for your marketing, you’ll want a graphic designer. But if you need to create a website, apps, videos, or animation, look elsewhere. Should You Hire In-House or Freelance Designers? The next question you need to ask is whether to hire a full-time in-house designer, or pick a freelancer/agency. An in-house designer offers the familiarity of a full-time employee, but also comes with all the costs and liabilities associated with one. 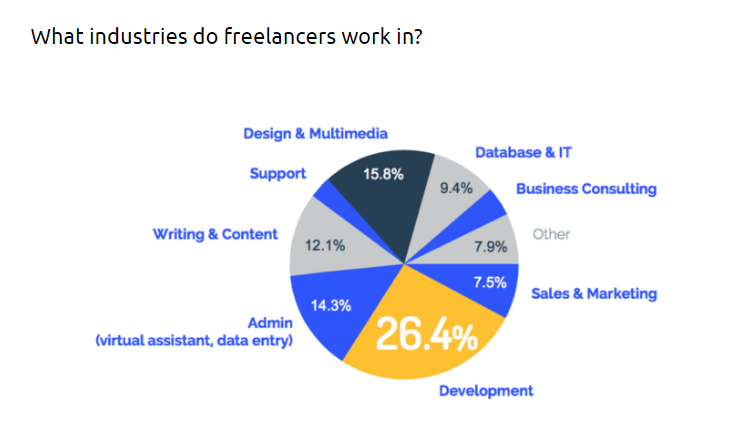 Freelancers or agencies give you access to a wider talent pool, but pose issues in communication and collaboration. Let’s look at each of these options in more detail. An in-house designer is something you’re already familiar with: a full-time employee who will be available throughout the week for any design work you need. Although it’s the most obvious path, hiring an in-house graphic designer has its pros and cons. You have more control over the creative process. Plus, the hiring process is already familiar to you. Hiring an in-house designer should be your default choice unless you have specific requirements that fit the use cases below. Instead of hiring a full-time person, an increasingly large number of businesses are opting to hire freelancers as and when necessary. This path offers flexibility and lower costs, though it also poses hiring and collaboration challenges. Hiring freelance graphic designers is ideal for businesses that are a) on a budget, and b) need a range of design skills. Unless you have an ongoing need for a specific design skill, you will be served better with a freelancer than a full-time designer. 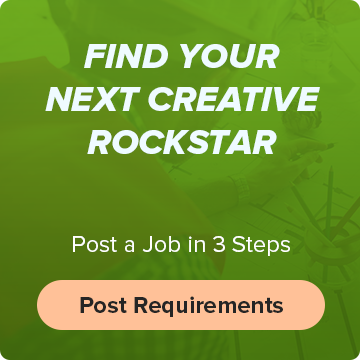 There is a third alternative – hiring a creative agency. Think of it as a collection of freelancers. When you hire one, you get access to a range of creative talent, plus an account manager who will ensure that your project is successful. You pay only for the hours that each designer works on your project. This is suitable for businesses that need designers for a single project (such as creating an ad or a website), but don’t have ongoing needs. You get access to top-tier talent and a dedicated account manager, but your costs are also higher. Should You Hire a Remote Designer? The most obvious path is to hire someone who works in your office. But before you write that in your job ad, give a thought to hiring a remote designer. Hire globally: You get access to a global talent pool, not just your local one – a massive advantage for businesses located in smaller cities. Attract millennial workers: Younger workers prefer remote work. 68% of millennials even say that a remote position makes them more interested in working for a company. Reduce costs: Hiring remotely means you can work in a smaller office, reducing fixed costs. Reduce commute time: Since remote workers don’t have to commute, you save time and improve productivity. Of course, hiring remote designers isn’t without its issues. You’ll have to sort out your communication and develop strong collaboration habits. 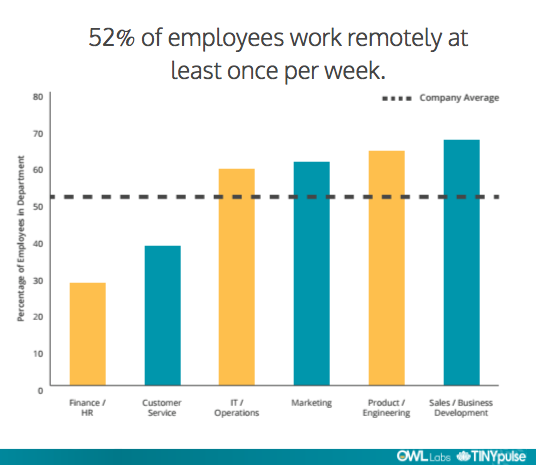 Businesses that have never hired remotely have a particularly hard time integrating remote workers into their teams. Moreover, design is inherently collaborative in nature. Some people need the designer sitting with them in the same room to work together. If you can overcome these problems, going remote can be a fantastic cost-saving move. Consider it before you decide to take the more obvious on-premises path. Start by defining your raw technical skills. Any modern designer would be well-versed with Adobe’s creative products, especially Photoshop and Illustrator. If you use any tools outside these, such as Sketch or InDesign, make sure that you mention it in your requirements. A designer with strong raw skills can easily move across different graphic design specializations. Beyond the portfolio, look for certificates or formal educational qualifications indicating technical expertise. While a technically skilled designer can create anything from product packaging to social media graphics, what they’re truly good at will often depend on their experience. Thus, if you need design work of a particular type – say, infographics – look for candidates who have appropriate work experience. Also consider the designer’s experience with your project management approach. If you use any specific methodologies (such as PRINCE2), it is always better to hire a designer who is experienced in it. Finally, evaluate the kind of companies the designer worked for earlier. A designer who worked at a startup will have a much easier time fitting into another startup than one who only worked at Fortune 100 companies. Design is fundamentally collaborative in nature. Any graphic design you hire will have to work across departments to bring their ideas to life. Their soft skills – communication, collaboration, cultural fit – are as important as their technical skills. Look for people who are strong communicators and can work with different people. Leadership skills are also important, especially if the designer will be in a senior role. A final consideration is cultural fit. People who have the same background or experience as your current team will have an easier time fitting in. In the next part of this guide, I’ll show you how to go about the actual hiring process. The hiring process for graphic designers is a little different from your usual non-creative roles. You approach has to be holistic, accounting for raw skills, past work-experience, and formal qualifications. You also have to be willing to look beyond the usual job boards to find the ideal candidates. Here’s how you can fine-tune your hiring process to find the perfect graphic designer. Before you go around posting ‘wanted’ ads on job sites, you have to pick up a crucial skill: evaluating designers. If you’ve never hired for creative roles before, you will be surprised to learn that many designers are entirely self-taught. They either majored in unrelated fields in college, or don’t even have undergraduate degrees. Whatever they know is learned through self-study and on-the-job experience. Of course, plenty of designers also have design degrees. But if you set that as a strict criteria, you will find that you’re eliminating far too many candidates from your talent pool. The real key to evaluating designers is to look at their past work-experience and portfolios. Design is a “show, don’t tell” profession. A designer who can show strong skills with her portfolio will also likely bring the same skills to her work. Does the designer have expertise across a range of design work (infographics, branding, print graphics, etc. ), or are they specialized in a specific design task? Does the portfolio show an evolution in style, quality, and capabilities over time, i.e. is the designer open to learning? Is the design work relevant, contemporary and in with the latest design trends? Has the designer worked on projects similar to yours? The other aspect any design application will be their work-experience. Unless you’re hiring fresh graduates – not something I recommend for businesses who’ve never hired a full-time designer – your candidates will have some experience on their resumes. What kind of teams did the designer work in? How does it align with teams at your business? What kind of project management systems did they use at the designer’s previous jobs? How does it compare to yours? What was the organizational hierarchy in the designer’s previous roles? Did they have extensive supervision or did they operate independently? While any good designer will be able to fit in different teams, it is always preferable to pick someone who has worked in teams and businesses similar to yours. Design is a technical skill. Which means that it can – and should – be tested. Large companies often use design exercises to evaluate a candidate’s skills, temperament, and creativity. Google, for instance, asks prospective hires to create anything from alarm clocks to apps for adopting pets. 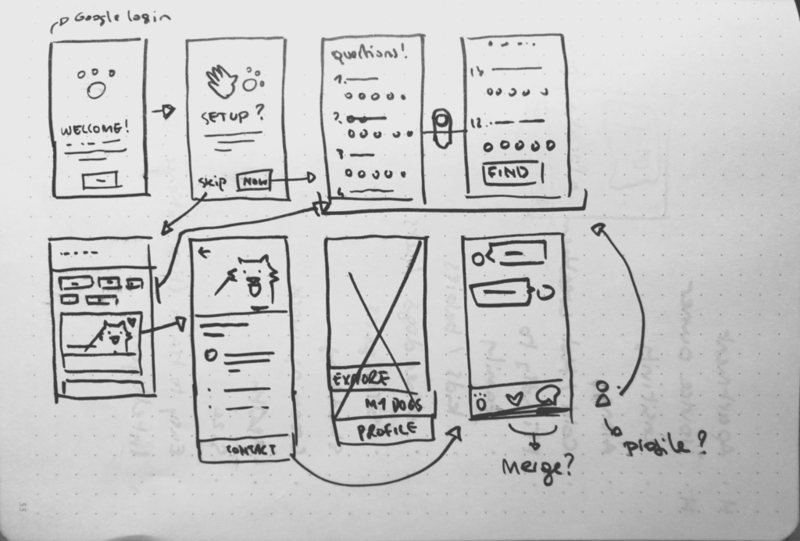 Sketches from a Google design exercise that asked candidates to create an app for adopting pets. A design exercise is a particularly powerful recruiting tool since it is impossible to fake. A candidate might exaggerate his work experience, but anything he creates in the exercise is entirely his own. Exercise goals: The primary purpose of most exercises is to test the designer’s approach and clarity of thought. While good aesthetics are always welcome, your focus should be on evaluating the designer’s ability to turn rough ideas into fully-realized concepts. Exercise time: If you’re testing the candidates on-site during the interview, you’ll have at most 15-45 minutes. If you’re asking them to do it before the interview, you may give them anywhere from a few hours to a few days. Change the complexity and scope of the exercise accordingly. Available tools: With short, on-premises tests, you are limited to readily available tools – pen and paper. This also means that you can’t evaluate designers on their technical knowledge or aesthetic quality. With longer, off-premises tests, you are free to use any tools necessary – Photoshop, Illustrator, etc. Exercise focus: The exercise should “experience-agnostic”. That is, it should be generic enough to give anyone an equal chance of doing well at it. Avoid exercises that focus on niche cases (such as designing a flyer for a car dealership) since designers with related experience will ace the test easily. I also recommend taking the help of an experienced designer to evaluate candidates’ exercises. Try to spec out 3-4 exercises and rotate them through the candidate pool. Ideally, offer them on-premises so you can evaluate the designer’s approach in real-time. 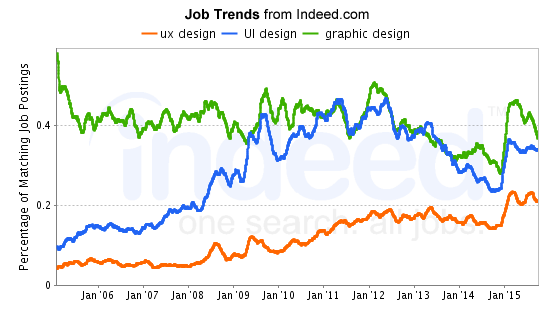 The demand for talented designers is ferocious. If you want top-tier candidates, you have to create an ad that gets people excited about working for you. You might think that this requires copywriting chops, but what it really needs is just information. Candidates aren’t swayed as much by punchy prose as they are by knowing exactly what the job involves, where they’ll be working, and who they’ll be working for. The more information you can pack into the ad, the more interested candidates will be about the gig. 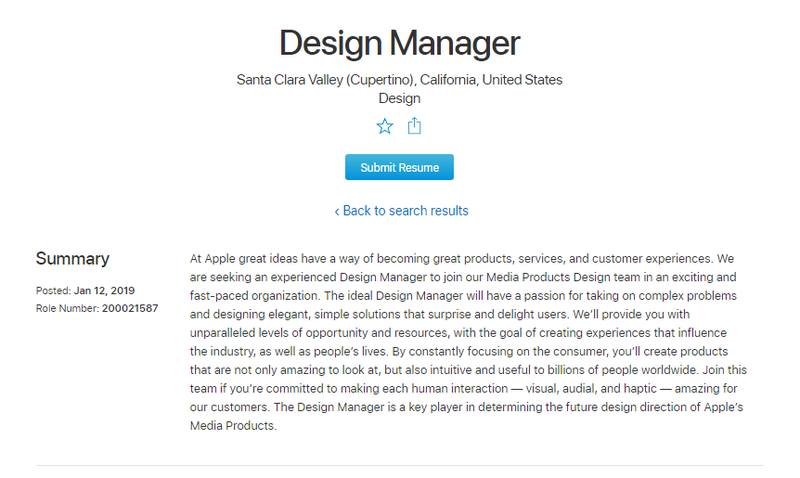 Consider this ad for a design manager at Apple as an example. Note how the ad specifies exactly where the candidates will work (Cupertino), what team they’ll work on (‘Media Products’), what problems they’ll work on (‘human interaction’), what qualifications they must possess. This is a good template to follow when creating a job ad. The only thing you should add to it is a brief statement about your business and what you do (Apple, of course, doesn’t need to sell itself). Business description: Clearly identify your business, what you do, and what kind of products you create. Don’t exaggerate your size or influence; good candidates will Google you anyway. Don’t over-promise either; candidates are often wary of a hard sell. Role summary: Briefly summarize what the job is about, what kind of teams and people the designers will work with, and who they’ll be reporting to. Make this section short and punchy – below 100 words is ideal. Key qualifications: Use bullet points to summarize the qualifications and experience candidates should have before applying. A knowledge of core design tools – Photoshop, Illustrator, etc. – is a must. If you work with any specific tools or methodologies, mention it here as well. Key responsibilities: In detail, mention everything the designer will have to work on. This should include the reporting hierarchy and the degree of independence they’ll have on final design decisions. Strong candidates will pay close attention to this section, so make sure it is accurate, detailed, and honest. How to apply: Finally, specify how candidates should apply for the job, and what the application package should contain. 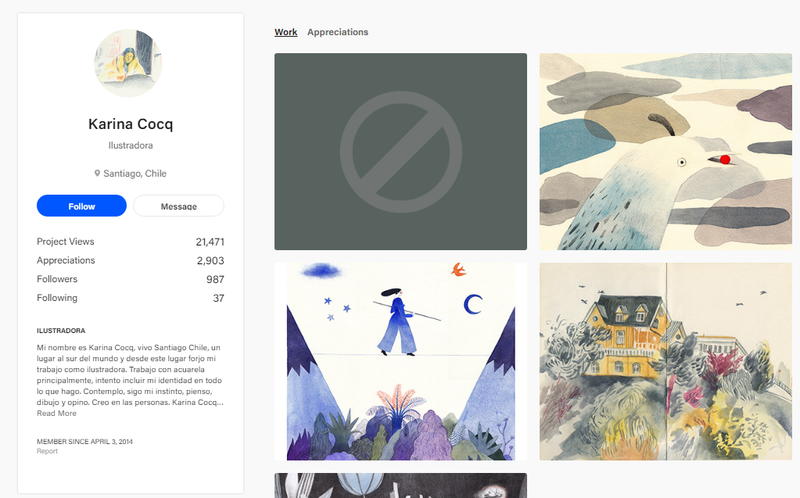 If you want them to send links to their portfolio and fill out a form, make sure to mention it here. The best way to create a good job ad is to see how other companies are hiring graphic designers. Search Indeed or Monster for open graphic designer positions. Follow the template used by design-focused companies such as Apple or Disney. The easiest way to mess up the designer hiring process is to look in the wrong spots. While mainstream job portals such as Monster will certainly fetch you a large number of leads, the quality of candidates can be very uneven. Further, you’ll be competing against large brands for attention, which can make it even harder to attract top talent. Get around this problem by posting your ads on niche portals and engaging with design communities. You’ll likely land fewer leads this way, but the quality of candidates will be much higher. 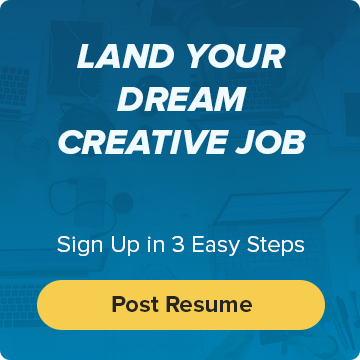 Niche job boards such as Workamajobs which cater exclusively to a select audience (creative agencies in case of Workamajobs). Portfolio sites such as Behance and Dribbble are the ideal places to find talented designers. Most designers already have a presence on it. And you get to see their portfolios before placing your ad. Design-focused communities such as DesignerNews, Reddit’s r/Graphic_Design, etc. See a longer list here. Hiring threads on popular sites such as Reddit or HackerNews. HackerNews, for instance, has a monthly ‘Who’s Hiring” thread where startups can find designers and programmers. Of course, you should post your ads on mainstream job portals as well. But by adding the above avenues to your mix, you’ll net a better and more varied quality of leads. Once you get a handful of applications, shortlist them based on your criteria. Offer shortlisted candidates your design exercise. Invite the top scoring candidates to an in-person interview. Hiring a graphic designer can be a massive challenge, especially if you’ve never hired for creative roles before. Follow the above steps to figure out your own requirements and zero-in on the ideal candidates.